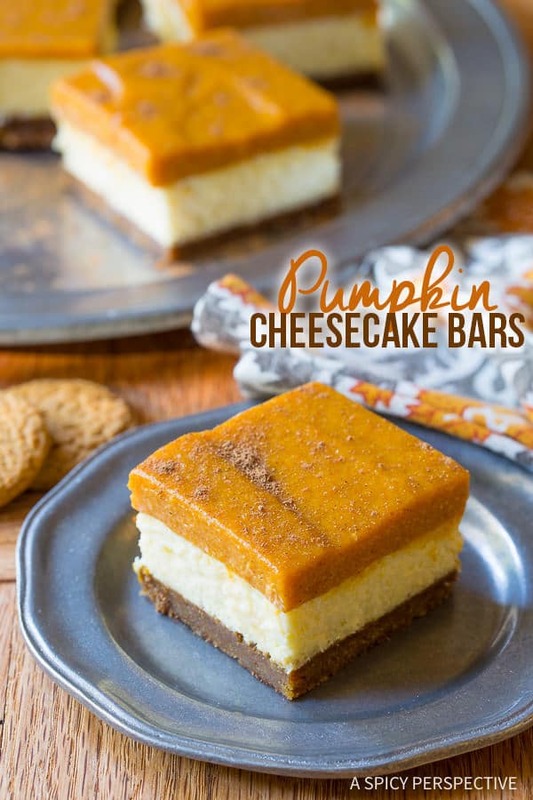 You will not believe these amazing Layered Pumpkin Cheesecake Bars! So pretty, so easy to make, and so delicious. I like to think I’ve never met a pumpkin recipe I didn’t like. Or a taco for that matter. My perfect meal might include fresh sizzling street tacos, chips with creamy guacamole, finished off with a tantalizing pumpkin dessert. But I digress… Already this season I’ve shared several beloved pumpkin recipes that fill the house with the welcomed aroma of sweet earthy pumpkin puree and fall spices. However, as our window to enjoy all-things-pumpkin is short each year, I don’t feel it’s possible to overkill on the ingredient. Do you? Today I’m sharing a new recipe for the holidays, Layered Pumpkin Cheesecake Bars, combining a simple silky cheesecake with a sweet buttery gingersnap crust, and a layer of spiced pumpkin goodness on top. The three layers are not only easy to make, they create an eye-catching treat your friends and family will scramble to get their hands on! As a general rule, I always feel that when I eat sweets, it’s better to make them myself. This not only offers me a creative outlet that my whole family will enjoy, it makes it possible to control the quality of ingredients going into my treats… and body. When baking desserts, I can adjust recipes to suit the dietary needs of those around me if needed. I can also use organic ingredients to eliminate undesirable chemicals and GMOs. It can be difficult to eat organic all the time, but I try to include organic ingredients as often as possible for the health of my family… Even in desserts. More and more I find organic ingredients are easy to find at my neighborhood market, without having to make a special trip to a health food store. 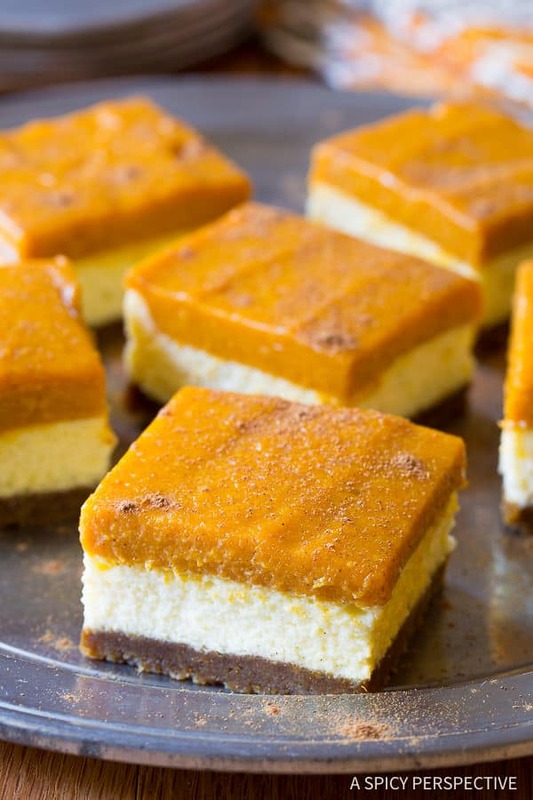 These Layered Pumpkin Cheesecake Bars might not be health food, so to speak, but they are made with clean organic ingredients. So even though they are a sweet splurge, I feel good about serving them to my family. 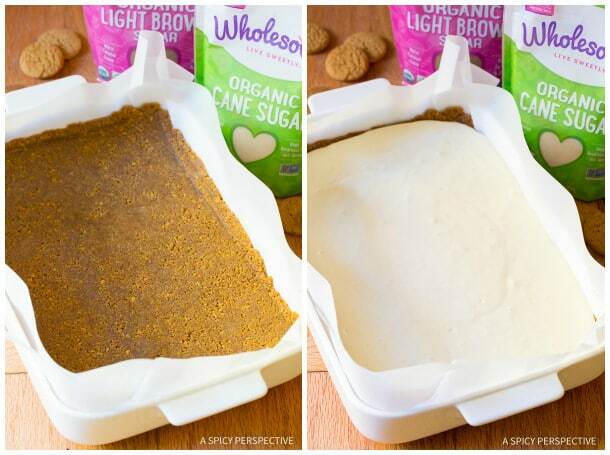 I used both Wholesome!™ Organic Light Brown Sugar and Wholesome!™ Organic Cane Sugar to provide sweetness and depth without the use of conventional white sugar or brown sugar. 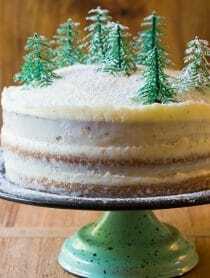 I also used organic gingersnaps, butter, cream cheese, cream, and eggs to create each layer. The crust is a combination of gingersnap crumbs, melted butter, and Wholesome!™ Organic Light Brown Sugar pressed into the bottom of a baking dish. Then a simple cheesecake filling is poured over the top and baked. 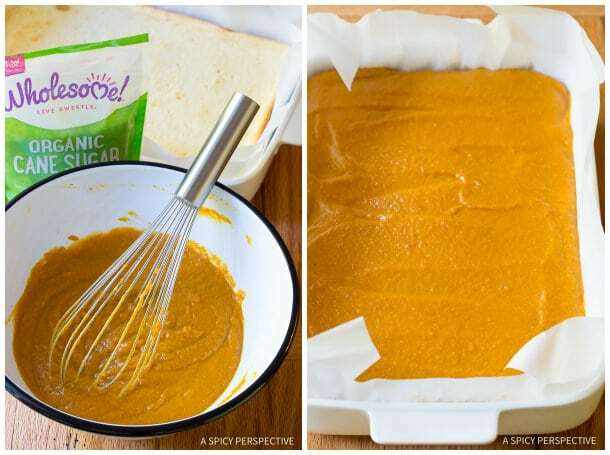 The pièce de résistance is the smooth spiced pumpkin layer made with pumpkin puree, cream, pumpkin pie spice, Wholesome!™ Organic Cane Sugar, and just enough unflavored gelatin to hold the mixture together, without creating a jello texture. It brings out the best of both the gingersnap crust and the cheesecake layer. Heavenly. 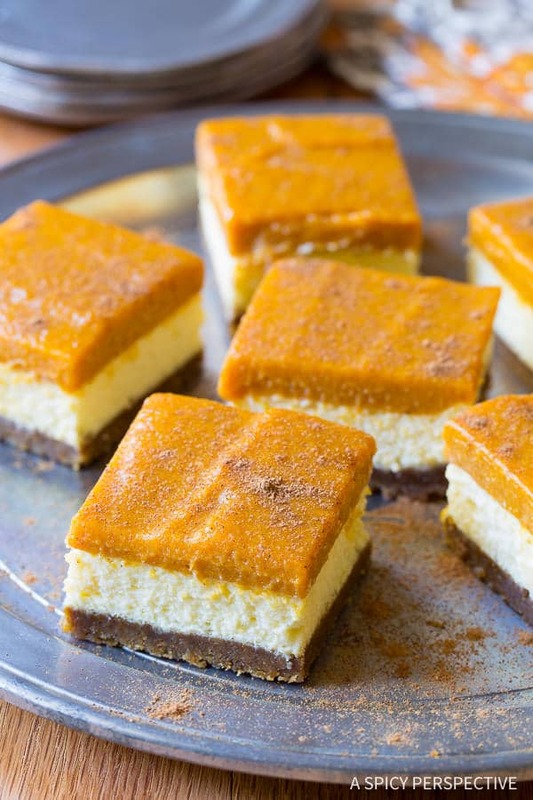 These Layered Pumpkin Cheesecake Bars are utterly divine. They make a marvelous seasonal treat to take to any holiday gathering, as well as an intriguing alternative pumpkin dessert for Thanksgiving! 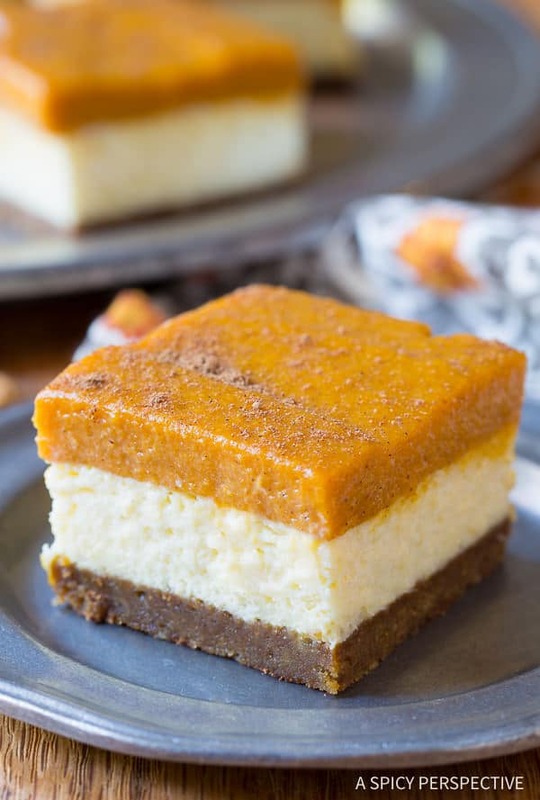 Layered Pumpkin Cheesecake Bars - This show-stopping seasonal treat combines the earthy spiced appeal of pumpkin pie, plus cheesecake with gingersnap crust. 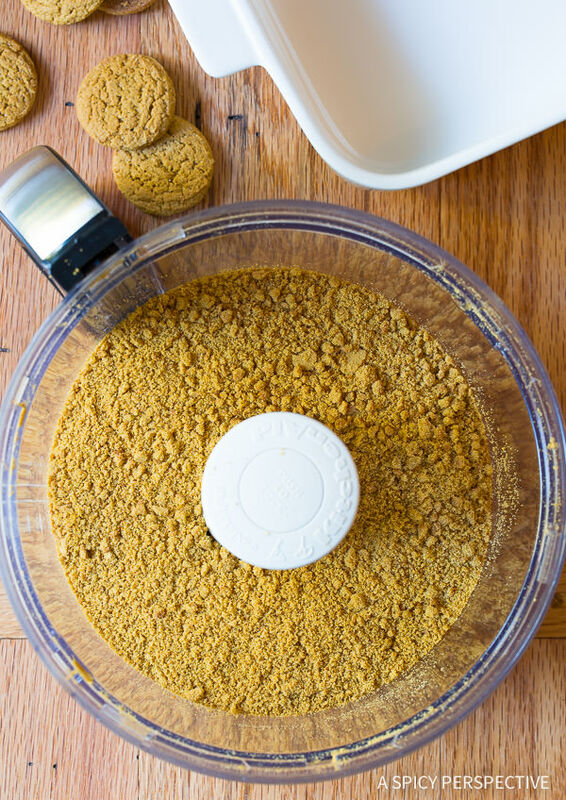 Preheat the oven to 350 degrees F. Place 3 cups of broken gingersnaps in the food processor and pulse to grind into fine crumbs. Add extra gingersnaps and pulse again until you have 3 cups of crumbs. Add the Wholesome!™ Organic Light Brown Sugar and melted butter. Pulse to combine. Place a piece of parchment paper in a 9x13-inch baking dish. Dump the gingersnap crumb mixture onto the parchment paper and cover with wax paper. Use a small rolling pin (or your hands) to press the crumbs into a firm even layer. Remove the wax paper and discard. For the cheesecake layer: Place the softened cream cheese in the bowl of an electric mixer. Add the Wholesome!™ Organic Cane Sugar and beat until light and fluffy, 2-3 minutes. Scrape the mixing bowl with a spatula, then beat in the eggs and salt until smooth. Scoop the cheesecake layer over the gingersnap crust and spread out evenly. Bake for 35-40 minutes, until a toothpick inserted into the center of the cheesecake comes out mostly clean. Cool completely before proceeding. For the pumpkin layer: Heat 1 cup heavy cream until almost boiling. Quickly whisk in the sugar and unflavored gelatin, until smooth. Then whisk in the pumpkin puree, pumpkin pie spice, vanilla, and salt. Pour the pumpkin mixture over the cheesecake and place it in the fridge to cool and set. Once the pumpkin layer is firm to the touch, lift the entire sheet of bars out of the pan by the edges of the parchment paper. Sprinkle the top with additional pumpkin pie spice if desired. Cut into squares and serve. Disclosure: This post is sponsored by Wholesome!™. All opinions are my own. It’s one packet of gelatin which is usually 2 1/4 – 2 1/2 teaspoons unflavored gelatin. A standard gelatin packet is about 2 1/2 teaspoons or 7 grams. Happy baking! These look so beautiful and yummy! I am making this for thanksgiving now. Felt like 2 full sticks of butter were not needed to keep the ginger snap crust together–similar to other recipes, I used 8 Tbls and it was fine . Cheesecake layer was much sweeter than any cheesecake I’ve ever made. Next time will start with 3/4 c and add more if necessary. I also added about 1/4 c sour cream to give the cheesecake tart contrast and creaminess. Chilling overnight before finishing top layer. Can’t wait to dig in! Thank you for the recipe. This dessert was a big hit, tastes as great as it looks. Will cut back on the sugar in both the cheesecake and the pumpkin next time. It was very sweet overall but really excellent. I sprinkled gingers nap crumbs on the top instead of the extra spice. I’m so happy these are so easy & I have all the ingredients!!! I’m loving all those layers! 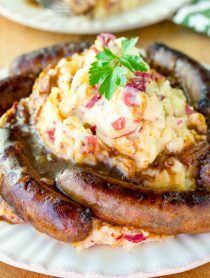 This would be an awesome alternative to pies for Thanksgiving. 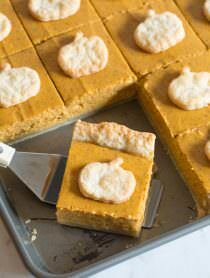 Fabulous alternative to pumpkin cheesecake too! Gorgeous colors and that extra little sprinkle of pumpkin pie spice makes them perfection! These look so good, and I have pumpkin in the larder. Such exquisite bars! I’d much rather have these than pumpkin pie! Fabulous for the holidays. 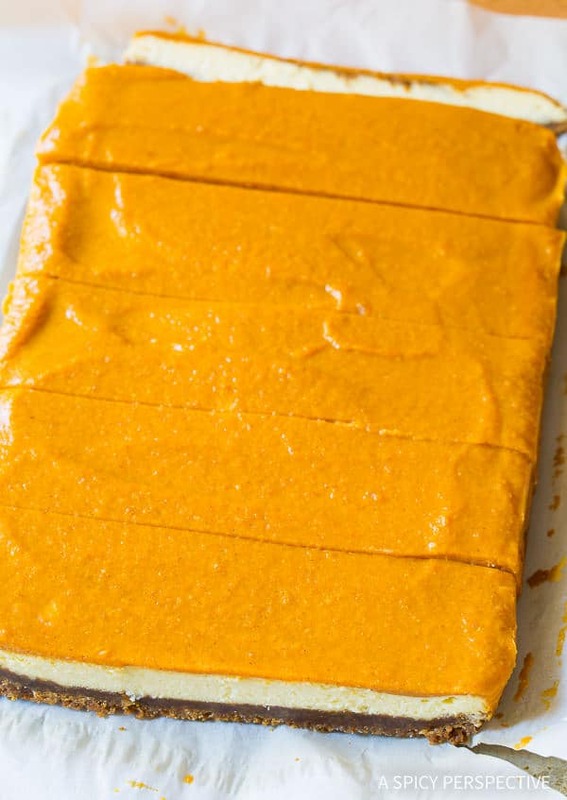 You can’t go wrong with pumpkin and cream cheese! These look festive and delicious Sommer! Oh. My. These look wonderful on so many levels! Cheesecake. Pumpkin. Ginger Snaps. And they’re just so pretty! Can’t wait to try these! These look amazing! Why am I not eating one right now, life doesn’t make any sense sometimes! Yum!